Disclaimer. I don't pretend to be an expert on these things. I've simply played with them quite a bit recently and am sharing my observations. I am intentionally not getting technical but want to be casual. My goal is to help someone else have as much or more fun as I with this stuff! Even after 60 years as a ham, with an engineering degree and lots of interesting experiences I still get a big rush when simple ideas click! I hope to stimulate the spirit of "just trying!" Baluns I've played with from top left: 5:1 unun kit, 1:1 sotabeams current balun, 9:1 QRPGuys, 4:1 homebrew, 9:1 homebrew, 4:1 LDG RBA-4:1 Balun. 2018-11-27 Sooner or later all hams will run across references for and likely need for a balun, unun or something similar to connect their antenna to the feedline and radio. 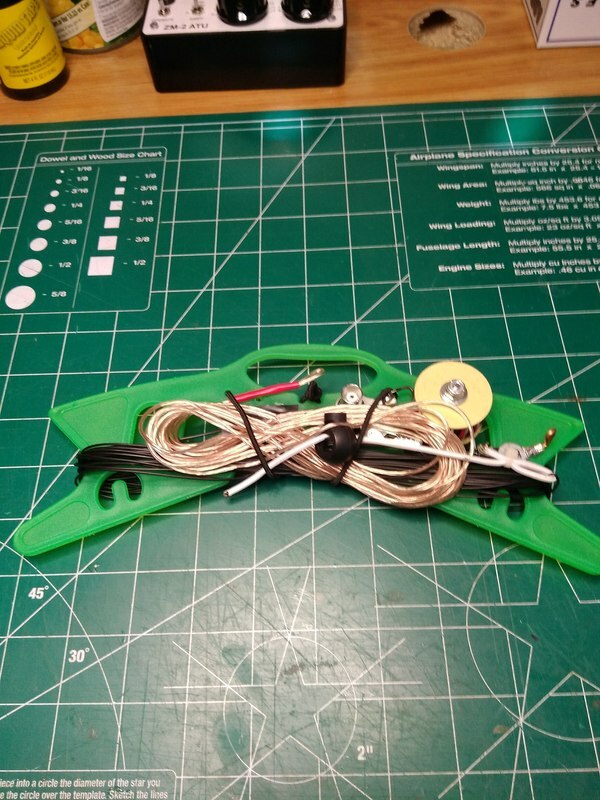 The "obvious" reason for a balun is to connect a balanced antenna or feedline to an unbalanced feedline or radio. 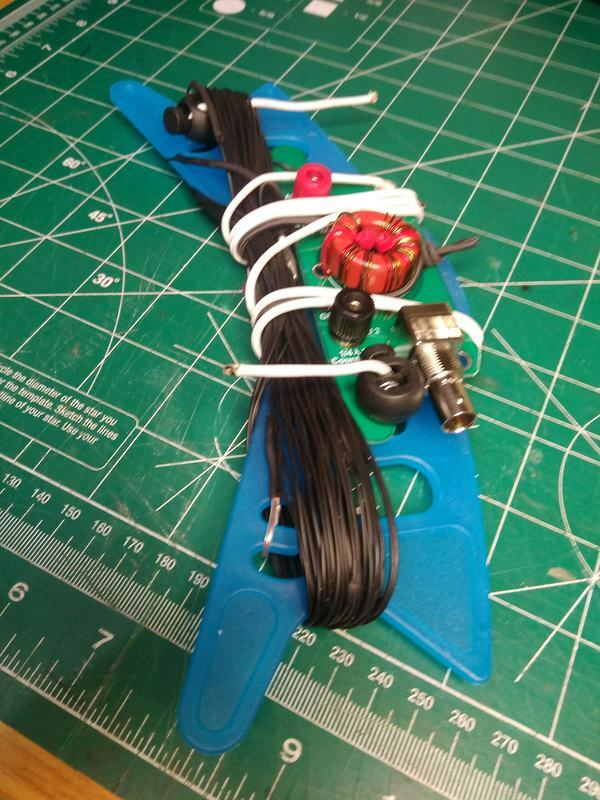 It isn't quite that simple as a perfectly good antenna is a half wave resonant dipole, which is balanced and has an unbalanced coax feedline. However that isn't of much concern at resonance as the impedance of the antenna where connected to the coax is very close to the 50 ohm design impedance of the coax, and is resistive. So "everyone" is happy. The impedence at the transmitter end of the coax is 50 ohms which the radio expects and is also 50 ohms at the antenna end of the coax so nearly all the signal provided by the radio is delivered to the antenna with no significant SWR. But if you tune very far from the resonant frequency of the antenna itself, it not only no longer looks like 50 ohms at the center connection point but also has either capacitive or inductive component. And that reactance is "transformed" by the coax to something different yet depending on the length of the feedline so that no one is happy! The radio no longer sees the expected 50 ohm resistive load. The coax doesn't see it's expected 50 ohm load hence SWR goes up, potential losses in the feedline increase and nothing performs exactly as expected. The most common way to deal with those unmatched conditions is to put a tuner between the coax and the radio which can nullify or tune out the non-resistive (capacitance or inductance) of the antenna system at that point and transform the resulting non 50 ohm resistance to 50 ohms. That can work somewhat satisfactorily if everything is not too crazy. But in any case the feedline will begin to act like a radiator itself, feedline loss will increase and the likelihood of RF in your shack increases which can cause all sorts of interesting things to happen in your computer, TV, etc.. Nothing you do at the transmitter/coax connection will help with this. To solve this problem with a coax feedline you need to do something at the connection point of the antenna and coax to let the coax see a 50 ohm resistive load, or take a whole different approach to your antenna and feedline. I'm getting way off the topic of this page but let me continue just a bit. This is not a perfect world and won't be so using coax in an unmatched situation may not be "terrible" and in some cases will work just fine. An example of that is when using an end fed wire antenna such as a 35 ft end fed, 51 ft end fed, 84 ft end fed and other end fed wire antennas. 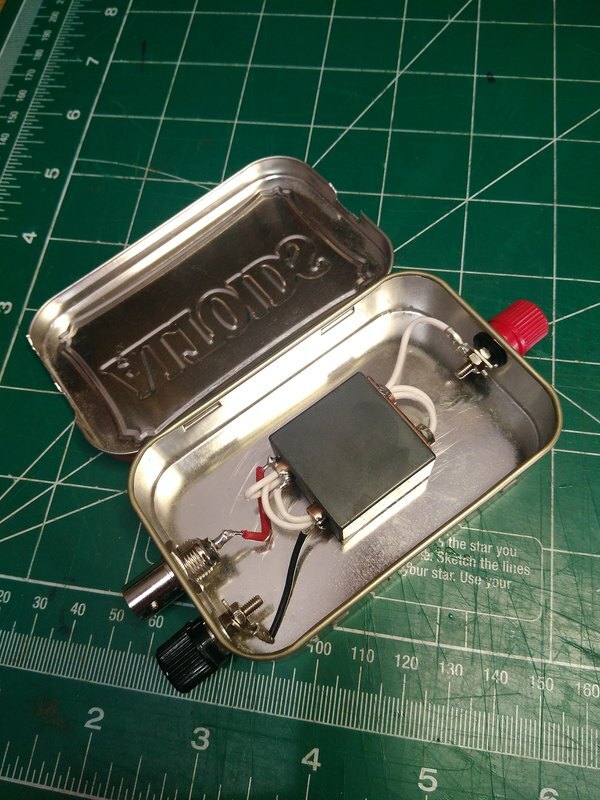 Another case is when using an antenna like the G5RV. The G5RV has been around a long time. It has a specific length for the horizontal radiating elements, the balanced feedline (often 450 ohm window line) and a length of coax to the antenna tuner. 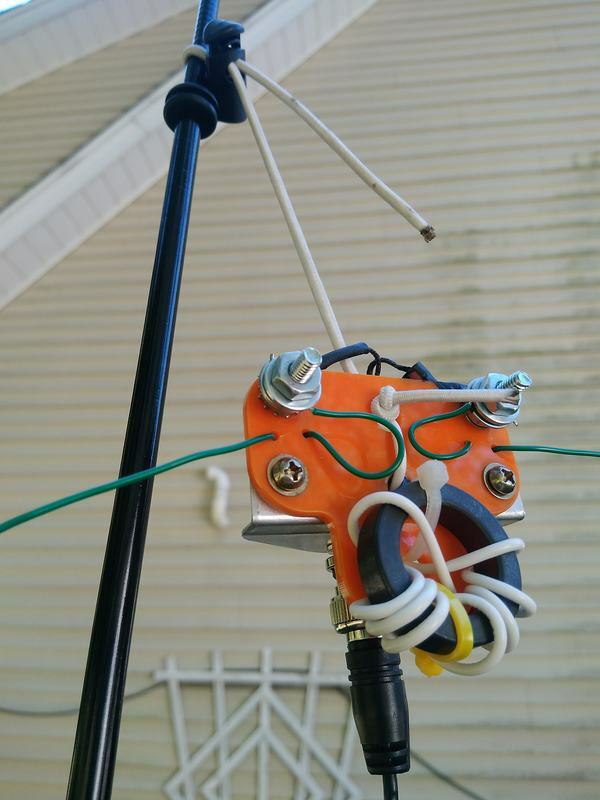 In my opinion it is good versatile antenna and has been my primary HF antenna for many years. I haven't a clue what the coax sees at the balanced line connection but it works! One version I had several years ago had some kind of balun at the junction of the balanced line and the coax. My current version does not. 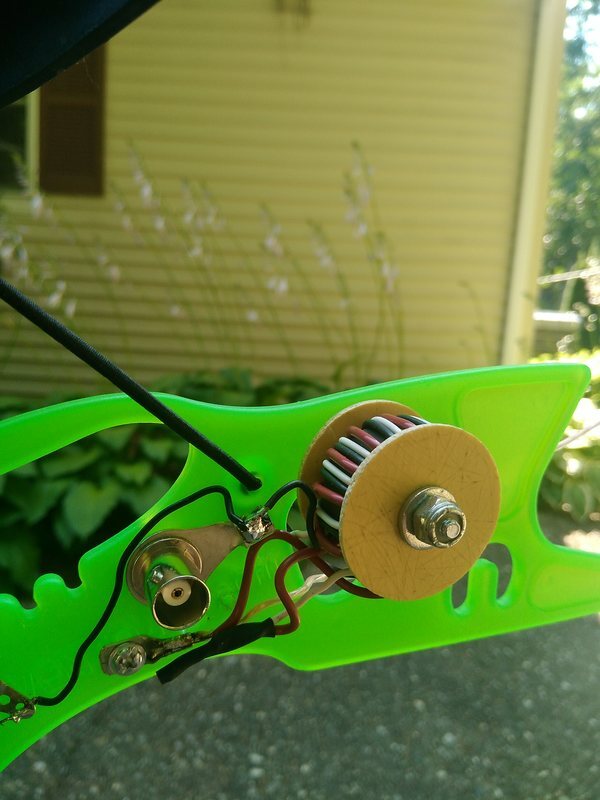 The center conductor of my coax simply connects one leg of the feedline and coax shield to the other. Now to my main topic, baluns, ununs and transformers for antennas. My meaningful introduction to this came several years ago when I wanted to play with an end fed half wave wire antenna. At resonance it looks like a pure resistance at the end just like it does at the center (a dipole). But that resistance is very high, several hundred ohms or more instead of 50 ohms. My tuner could not convert that to 50 ohms for my transmitter. Logic told me I needed a transformer. What I ended up with was an air wound transformer with 17 turns on the secondary (antenna side) and 3 turns on the primary (transmitter side). I also put a variable capacitor across the secondary side to resonate out any inductive or capacitive component that may be there. The antenna connected directly to the secondary with the other end of the secondary going to ground. It worked! Furthermore it was a "balun" in that the primary and secondary were isolated from each other so that the unbalanced coax simply saw 50 ohms and was only electromagnetically connected to the antenna. 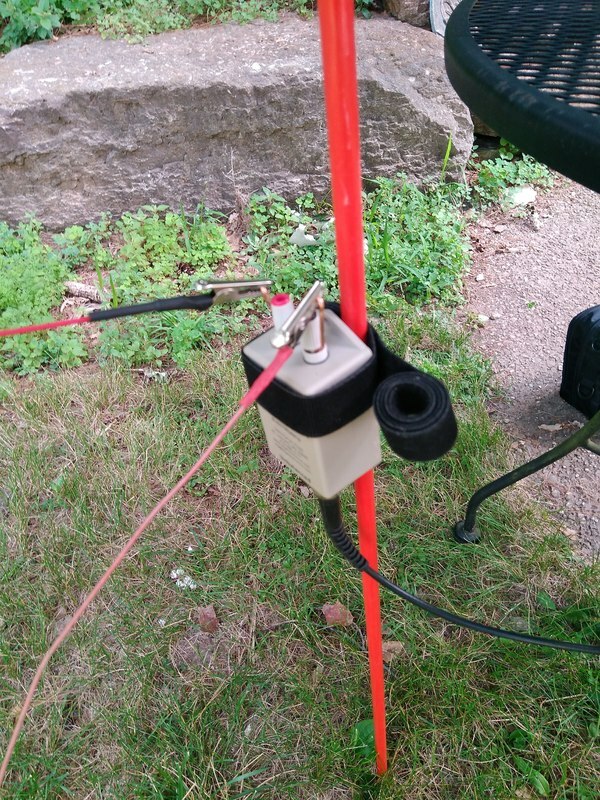 It didn't care whether the antenna had one side connected to ground (which it did) or not. And the variable capacitor allowed the reactance of the antenna to be tuned out so only a pure resistance appeared at the transmitter side. Click here to see a discussion of that setup. So what does a balun do? Essentially the same thing as my homemade transformer for the end fed half wave antenna with one major difference; it does not tune out any reactance but simply transforms it along with the resistance. And the hope is that the tuner can deal with the result so that the transmitter sees a 50 ohm resistive load. Baluns come in many ratios. I've played with 1:1, 4:1, 9:1 and 5:1 baluns. All except the 1:1 have been voltage baluns. I'm thinking about building a current balun. The references below have helped me. Perhaps they will help you as well.